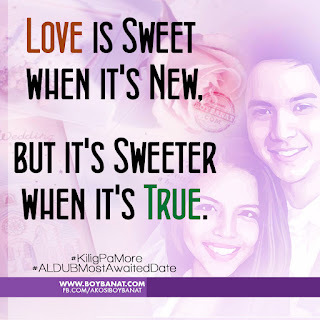 It was September 19, 2015, when the AlDub nation most awaited moment in Eat Bulaga's Kalye Serye segment happened. The much anticipated first date of King Bae Alden Richards and Dubsmash Queen Yaya Dub (Maine Mendoza) that rock the Twitter-verse with unprecedented 12.1 million tweets. Avid fans are excited for they finally had the chance of their lives. We've been following since their first glance until this very day that made us burp butterflies. both mean something to someone." 4. "Words can't say what Love can do!" is your happiness, iba na yan!" Did you also have that fluttering feeling? We had and we couldn't wait for more. 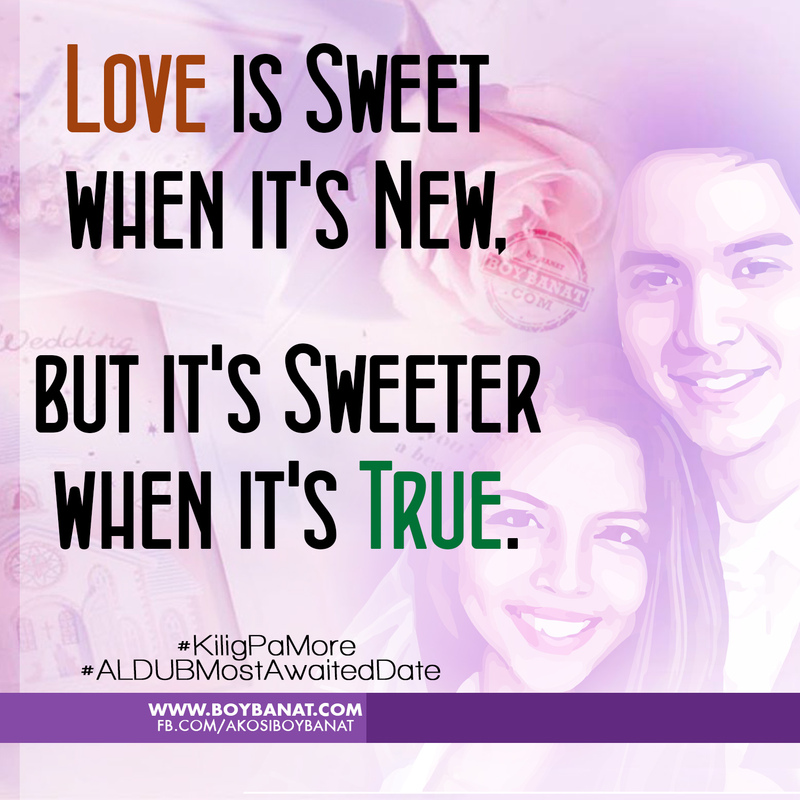 Keep posted on the latest AlDub reads and updates here at www.boybanat.com and we will surely feature more about your favorite love team. If you also have your own quotes collection, feel free to share with us. You can also visit our Facebook page at www.facebook.com/AkosiBoyBanat.